We haven't been to the moon in a long time, but NASA is eager to return. The Trump administration is also expected to be supportive of new endeavors in the hopes of rallying the nation like the Apollo Program did. SpaceX has been the king of private space travel lately, but Jeff Bezos and his company Blue Origin have some bold plans for NASA. In an interview with The Washington Post, the Amazon CEO described his company's interest with the moon. 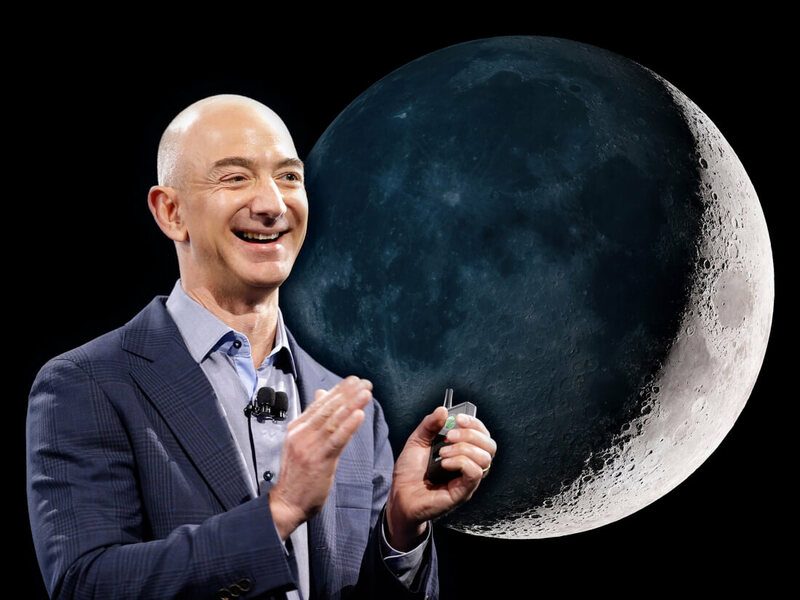 Bezos asked NASA to back an "Amazon-like shipment service for the moon that would deliver gear for experiments, cargo and habitats by mid-2020, helping to enable future human settlement of the moon." The announcement comes just a few days after SpaceX announced it would also be returning to the moon, albeit just a fly-around. With much of NASA's focus on Mars and beyond, lunar missions haven't been a priority for decades. Obama scrapped plans back in 2010, but that hasn't stopped the private space industry. Others like Boeing, Lockheed Martin, and Bigelow Aerospace have been hard at work on various habitats and transportation systems for a future trip to the moon. Bezos has chosen the moon's Shakleton Crater for its plentiful sun exposure and water ice. The Post has called the moon a "massive gas station in space," something future long distance missions can take advantage of. The spacecraft, dubbed Blue Moon, will be able to carry up to 10,000 pounds of cargo and is compatible with a large variety of launch vehicles. It won't carry astronauts, but will be used to keep them supplied with food, tools, and other necessary equipment. Blue Origin views their Blue Moon as being useful for "cost-effective delivery of mass to the surface of the moon. Any credible first lunar settlement will require that capability."